There's a particular memory that sticks out in my mind. Well, two actually. 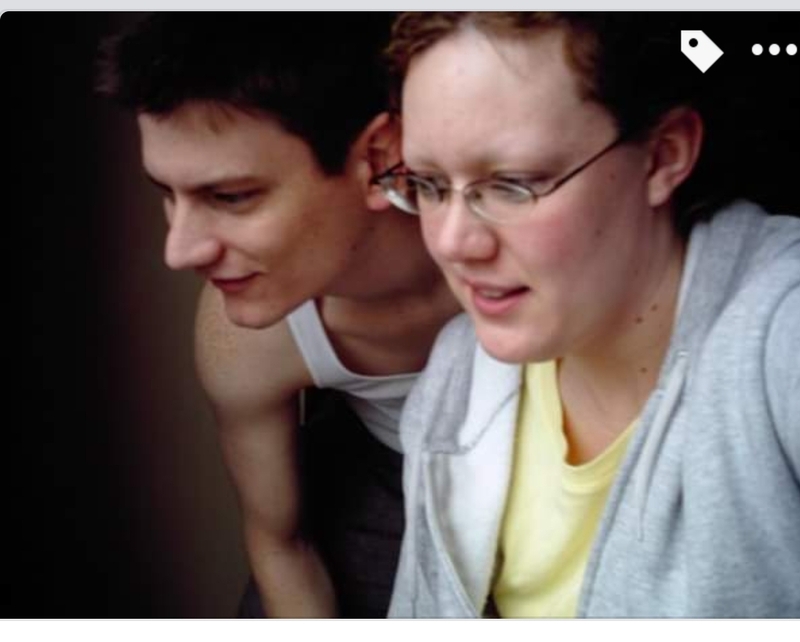 It was March 2007. I had talked my boyfriend (now husband) into a weekend in Chicago. I was soooo excited to show him the sights of one of my favorite cities. We had very little money to throw around at the time, so we booked a hotel room through Hotwire (we still use this for cheap hotel stays on our road trips). 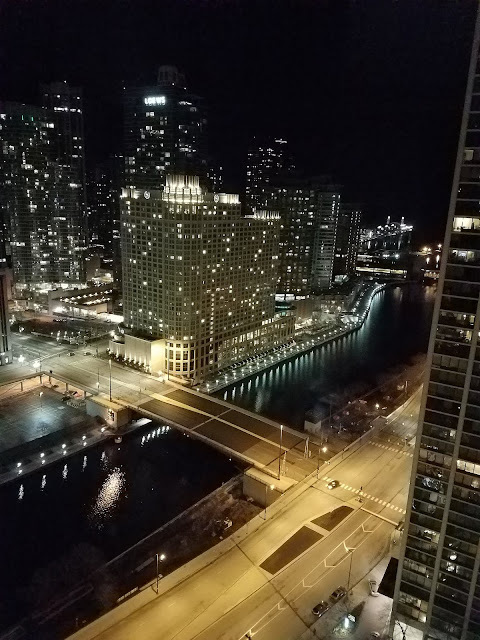 We left Des Moines after work one Friday night and arrived in Chicago late. Despite it being after midnight as we checked into our hotel, I couldn't help but to want to walk around the city streets. We were also hungry. So, we went in search of food. At 1:30 a.m. we stumbled upon an open restaurant that quickly became our favorite Chicago eatery. At 3 a.m. we arrived back at our hotel room in the Hyatt Regency, requested a wake up call, pre-ordered a room service breakfast, and fell asleep. As our breakfast was delivered the next morning, the first thing I did was pull back the drapes to let the sunlight in. I excitedly called Matt over to the window. 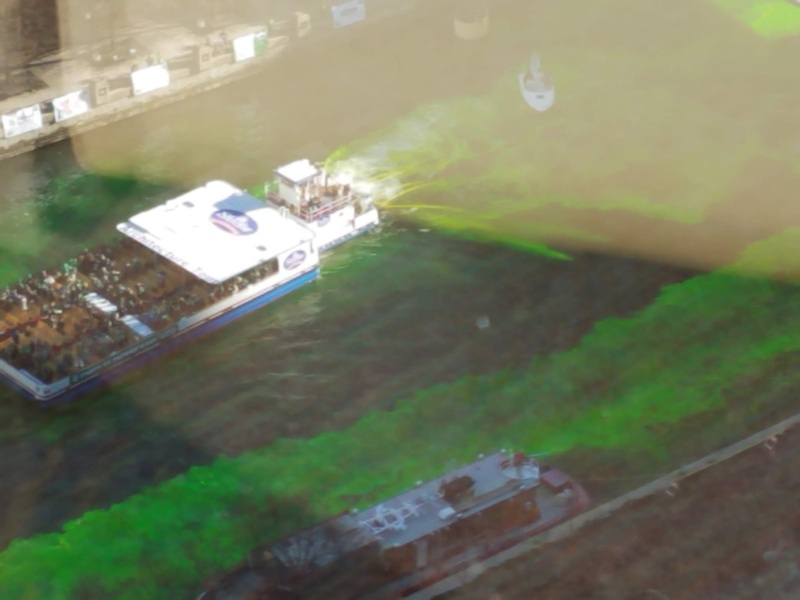 I have seen the Chicago River dyed green many times in my life. 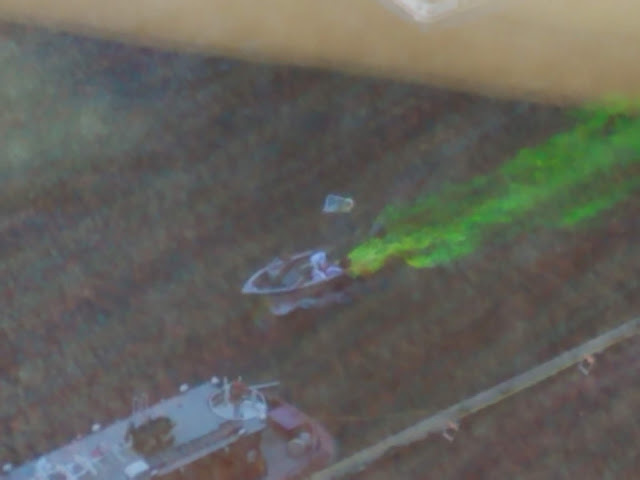 I had never seen it being dyed green until that moment. We sat in our pajamas, enjoying our breakfast and coffee, and went on to have a spectacular long weekend roaming the city. That perfect morning was so simple, yet it sticks out in my mind as a perfect moment. 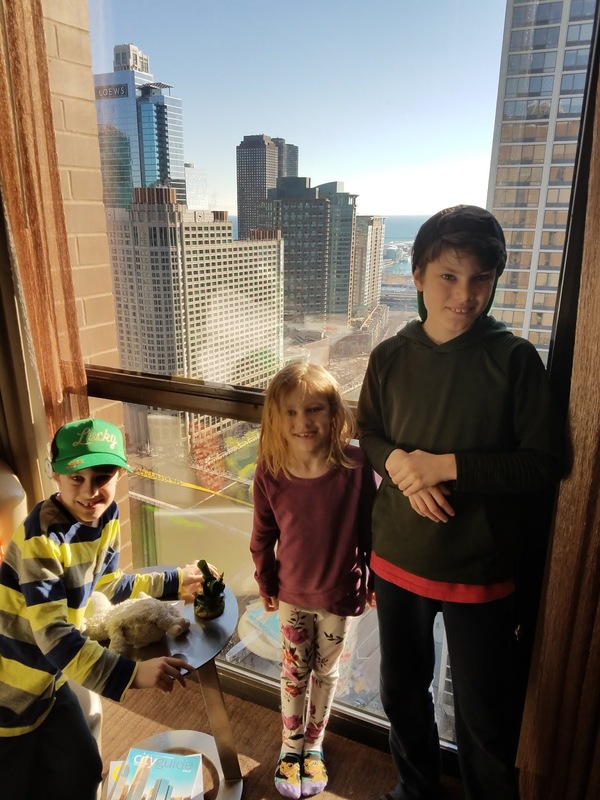 My husband and I have looked forward to taking our minis to Chicago for St. Patty's Day since our oldest was born. We knew from experience we'd like them to be a little bit older so they could manage the crowds and craziness that weekend brings. A year ago as we drove back from our long vacation in the Florida Keys (on St. Patrick's Day), I looked over at Hubs and said, "next year we're doing this day in Chicago." So we did. 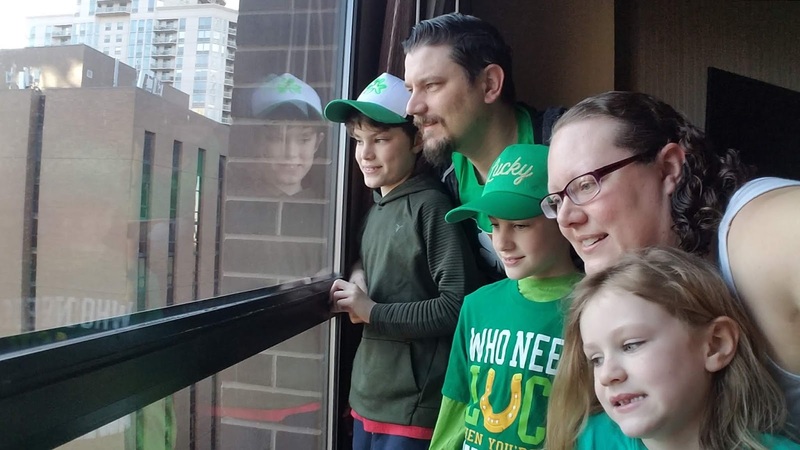 Sure we have friends in Chicago we could have stayed with (and we did the second night), but I wanted a memorable experience for their first Chicago St. Patty's Day. I booked a River View room at the Hyatt Regency right on the river. 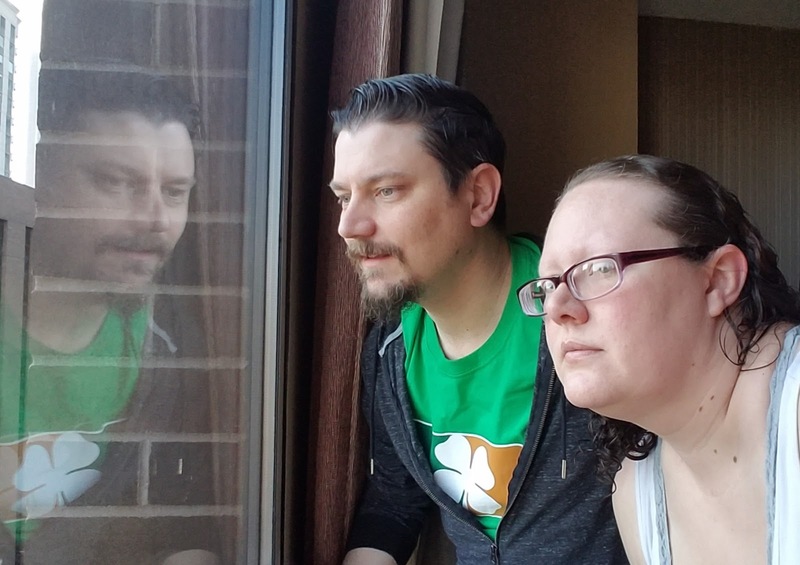 From our hotel room, we saw the river turn green while we ate St. Patrick's Day donuts and were thankful to not be in the crowds below us. Again it was one of these simple memories that will mean more to me than them, that I'm almost positive. As for the rest of our weekend, it was delightful (you can read about it here).